filling out your BNI Connect profile helps your rankings on Google. 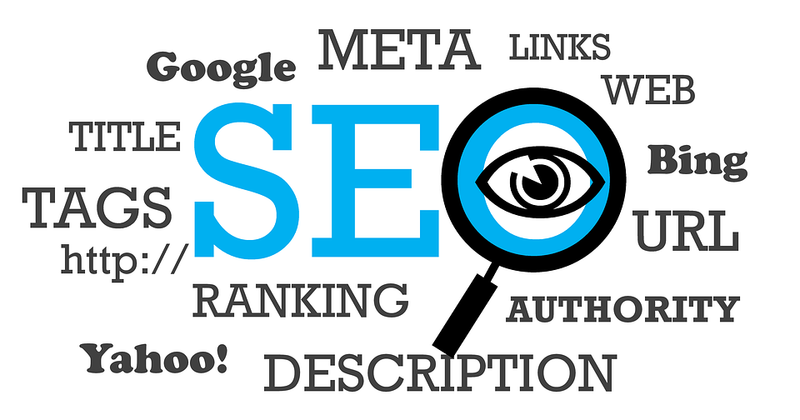 This kind of activity is commonly known as Search Engine Optimization, which happens to be our core business at Tiger29 - Sioux Falls SEO. Vince is right. When you fill out your profile page at BNI, it shows up on a Google search for your name. Mine shows up fairly high if you search Google for Pete Kleinjan Sioux Falls. That’s great, but not too a big of a deal. The only people searching my name and city already know about me. Why Does My Competitor Outrank Me? How Can I Get Google To Rank Me Above Competitors? How Do I Maximize The Benefit? When Will I See An Impact? Will This Make Me Rank #1? The search algorithm takes the user’s search term, almost instantly compares billions of websites, and returns results. How does this happen? The Google algorithm is actually like a digital version of the BNI VCP concept. Increase visibility and credibility, and your profitability (referrals) will follow. Google looks at the authority, relevance, and trust (ART) of your website. Some experts call this EAT (Expertise, Authority, and Trust). Search engines like Google, Yahoo, and Bing compare your website’s ART against all other websites, and then ranks them accordingly. If Google “thinks” you have more ART or EAT than your competitor (for a keyword search), you will outrank them (for that keyword search). If you don’t, you won’t. It really is that simple. There are two types of signals that are important to understand – on-site and off-site. If you make a change to your website itself (even small changes), you are changing on-page ranking signals that the Google algorithm is comparing against your competitors. And of course, the copy or content on your pages. If your pages don't have any words, it is very hard for Google to understand what your page is about. It is hard to understand what you do or sell. If Google can't understand your site/business, it won't rank you well. Some of the above are a bit technical, and are usually best handled by a professional web developer or internet marketing agency. An example of how on-page relevance works is a plumber who does drain cleaning. A page on their site describing drain cleaning will be relevant to user searches that are looking for a drain cleaning service. A plumber in Sioux Falls without that page is much less likely to rank for “drain cleaning in Sioux Falls” because that website isn’t particularly relevant for that search. Your BNI Connect profile has no impact on On-Site authority, relevance, and trust. However, it does impact your off-site authority, relevance, and trust! Off-page ranking factors are any ranking signal that appear on other websites (not your own). This is where BNI Connect can help you. Your BNI Connect profile sends important authority, relevance, and trust signals! Your BNI Connect profile passes authority to your website. A backlink is the most important way that Google picks up on off-site authority. Put your website into your BNI connect profile! Make sure it is the same url that shows when you search for your company on Google. If Google lists https://www in search results, do not put http://www as your website. Getting the link right is a big signal that matters. BNI Heartland’s websites have their own authority due to their own on-page and off-page signals. You can leverage or transfer some of that authority by making sure there is a link in your BNI Connect profile. A profile with a link is great, but have you described your products and services? Filling out your profile adds important relevance information that the algorithm will factor into search engine results. Don’t go overboard, but be sure there is an accurate representation of what your company does. There are sections for entering information about your business, your ideal referral, top product, top problems solved, and ideal referral partners. Fill them in to make your BNI Connect profile is relevant for generic searches. This relevance will transfer to your company website because they are connected via the link described above. BNI offers the ability to connect your profile to social platforms like LinkedIn and Facebook. This tells Google you are who you say you are because you are correlating the two pages with each other. Add a picture. Be sure your company name, address, and phone number are accurate – conflicting business information on the web is a very bad trust signal. Fill out your profile completely. It is a free benefit for belonging to a BNI chapter, and it is an easy off-site SEO win. It will show up when you search your own name, but it can boost your own company website for generic searches. You need a good website. You also need good information on the web as a whole. The BNI Connect profile helps with that. If your business is represented in multiple chapters, you may already be thinking about multiplying this BNI search engine optimization strategy. Every employee who is in a BNI chapter should have a complete BNI Connect profile. Multiple the ART effect! Put employees in multiple chapters, and make sure their profiles are complete. Once your BNI profile is optimized for search engines, think about other places on the web where you can use similar strategies (LinkedIn, Chamber of Commerce, local service organizations, etc). First, Google needs to find the new information. This can take a few weeks or more. 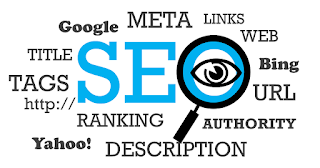 Second, your BNI Connect profile is only one small factor in your search engine rankings. It might be enough to improve your rankings. It might not be enough. Your ranking signals as a whole need to be better than your competitors. Your BNI Connect profile is one place to get an edge. Enough small changes in enough places can add up to better rankings than your competitors. When we do SEO for small business, we tell clients it will take at least 6 months of work to see serious improvements. Optimizing a website for search is not a simple checklist. It is a process of doing things better than your competitors. That process takes time, and it never really ends. Pete Kleinjan founded a Search Engine Optimization company in 2009. His agency has worked with small, medium, and large businesses. Tiger29 works with clients who need to reach customers searching on the local, regional, and national scale. For more information, call Pete at (605) 275-2122 or visit them at https://www.tiger29.com. If you are in Sioux Falls, SD you can find their office at 1801 S Kiwanis Ave Sioux Falls, SD 57105. Like us on Facebook. If you want to learn more about how to rank better on Google, they have an excellent starter guide. BNI of the Heartland, serving Nebraska, Western Iowa, South Dakota, and Wyoming. Join us for Business Network International news in the region, chapter showcases, facts, and fun! Have an idea for a story, a testimonial you'd like to share, or other suggestions? Please submit them here. BNI of the Heartland. Powered by Blogger.